Global pharmaceutical giant Merck this week nominated Mayo Clinic CEO Dr. John Noseworthy for election to its board. While common, experts say these kinds of relationships raise conflict of interest concerns and must be carefully navigated. Here's a quick look at how Noseworthy, a neurologist by training, might manage his dual roles as Mayo's CEO and Merck board member. 1) How unusual it is for someone of Noseworthy's stature to serve on a pharmaceutical's board? It's not that unusual. 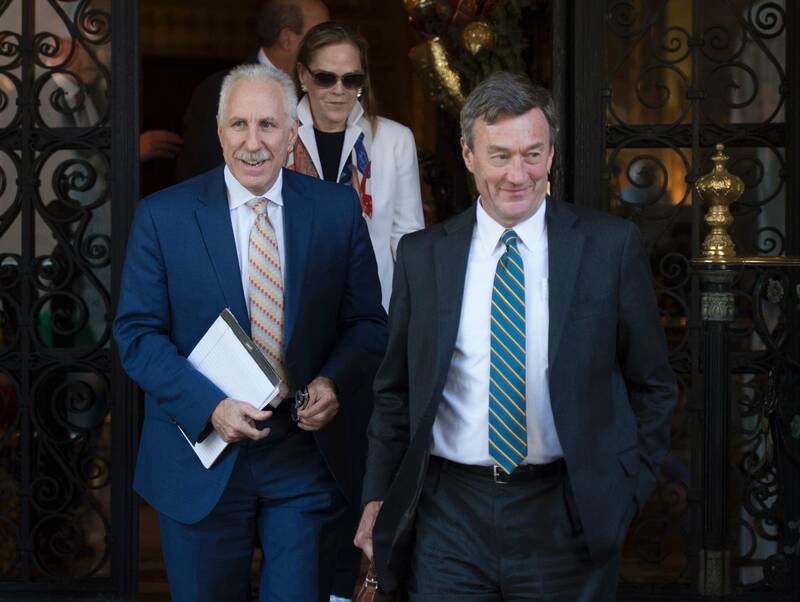 Noseworthy will join high ranking medical professionals from Johns Hopkins, the Howard Hughes Medical Institute and Memorial Sloan-Kettering Cancer Center on the Merck board. Research published in the Journal of the American Medical Association showed 41 board members of the 50 biggest drug companies held leadership positions in American medical colleges. Supporters of these ties say bringing people who run world renowned medical centers like Mayo Clinic together with the pharmaceutical industry can improve medicine. Drug companies, they say, can learn a lot about patient care from people like Noseworthy. And it can go both ways. In a statement, a Mayo spokesperson said that the appointment will give the hospital another lens into the "highly complex health care marketplace and to anticipate major trends in the pharmaceutical industry that may affect patients." 2) What's the concern then about a hospital CEO sitting on drug company board? Anyone who sits on the board of a drug company has a fiduciary responsibility to that company — you work for shareholders. For hospitals, where these drugs are administered and sometimes even tested in clinical trials, the relationship raises some important questions. A hospital executive who sits on a drug company board could feel pressure to get his hospital to buy the drug company's products. Hypothetically speaking, Noseworthy's presence on the board could potentially "give Merck a leg up" inside Mayo, said Dr. Eric Campbell, a Harvard Medical School professor who researches physician conflicts of interest. "It could increase the likelihood that the patients who are seen there will get Merck drugs," he said. "It could also create the impression that the Mayo Clinic is endorsing Merck." These tricky relationships aren't limited to hospital executives who sit on the boards of drug companies, he added. His research suggests that 85 percent of doctors have some form of a relationship with pharmaceutical companies. 3) What is Mayo saying about how it will handle these potential conflicts? Mayo says its board of trustees and board of governors carefully vetted the appointment and ultimately decided that the board position would raise Mayo's credibility rather than dilute it. The clinic also says a conflict of interest plan is being developed and that it will be monitored by an oversight committee. Practically speaking, Noseworthy will recuse himself from decisions involving Merck, including decisions about drug purchasing, business relationships and research initiatives. Mayo also said that Noseworthy will disclose his board membership when speaking publicly about pharmaceutical industry issues. 4) Will Noseworthy be paid? Yes, he will. His compensation for serving on the Merck board will include $110,000 in compensation and $170,000 in deferred stock per year. Mayo said this is standard practice for Merck's board members and that it adheres to Mayo policies that allow employees to be paid for board work done on personal time. Mayo says that it actually lags other prestigious hospitals that have leaders on drug and medical device company boards. So, Mayo's own Board of Trustees is interested in having more of its leaders serve in similar roles in the future. The trustees believe that these memberships will only expand the experience and insights of clinic employees.